One of Donny’s passions is connecting his family tree with people from all over the world. Here you will find resources to one of the most popular worldwide hobbies. 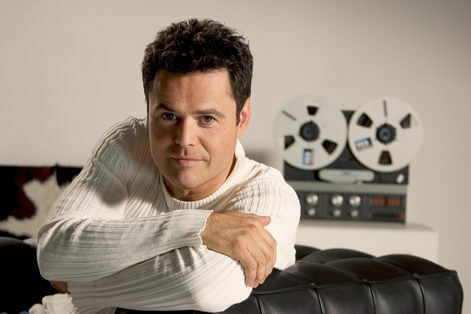 Here you will find all of the Osmond family genealogies. You will be amazed at what you see. Most every show I do, I look out over the audience and wonder, “How many people out there am I actually related to?” The likelihood of you and me being related is very high—meaning we could actually share a common ancestor. By clicking on the FamilySearch.org (One of the world’s largest online and FREE family history databases) link below, you potentially will find a long lost relative that may already be in the database. If so, you probably can connect yourself to literally thousands of ancestors. I’ve also included a link to The Osmond Family Genealogies. You might even find a common name here that you are related to: Osmond Family Genealogies. You never know who you might be related to. I recently found out that I’m related to John Lennon, and even William Shakespeare! My wife, Debbie, is related to Winston Churchill. Once you start, it’s not only enlightening, it’s irresistibly contagious and fun.